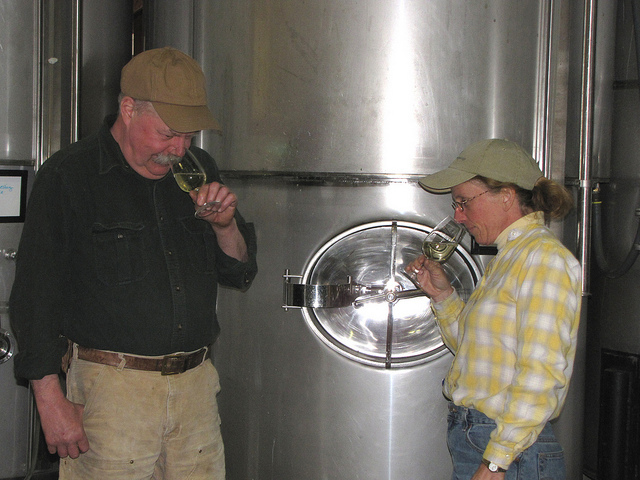 With their 35-year tradition crafting fine wines in the Chautauqua-Lake Erie wine growing region, the Mazzas are proud to complement their winery in North East, Pa. with their new distillery, wine cellars and café in Chautauqua, NY. The Mazza family has taken great measures to create a one-of-a-kind experience for each and every guest. One of Western New York’s newest wineries is also its only distillery. 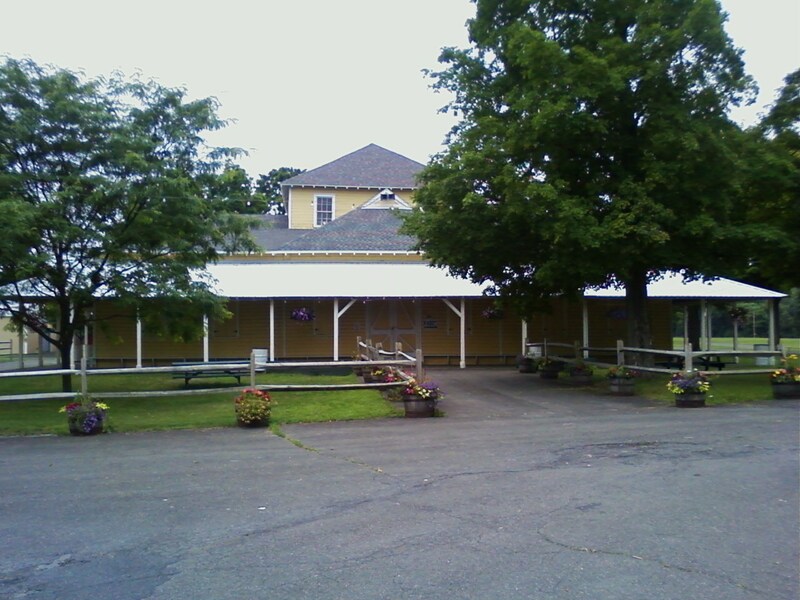 This is Mazza Chautauqua Cellars in Mayville, NY. Their hand-crafted copper pot still was imported from Germany. At Mazza they make some and some wine is transformed into brandy and the region’s delectable fruits are concentrated into healthful eau de vies. 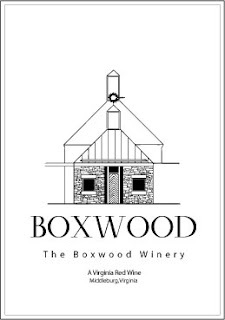 It is a state of the art winery with wine tasting, spirits, and a fabulous cafe'. The building employs geo-thermal heating and cooling methods, energy-efficient lighting, and recycled materials so that they are as friendly to the environment as the winery is to their customers. 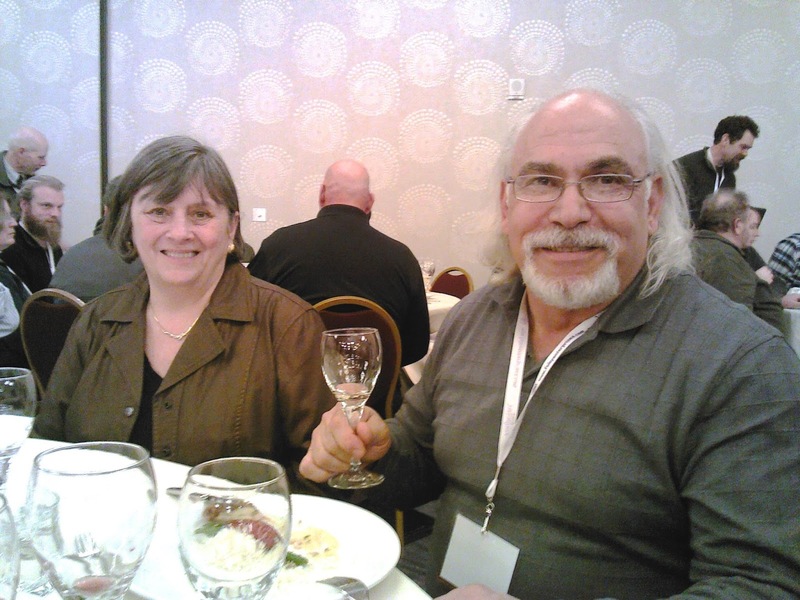 I recently me the Mazzas at Viticulture 2013. Nice foks! 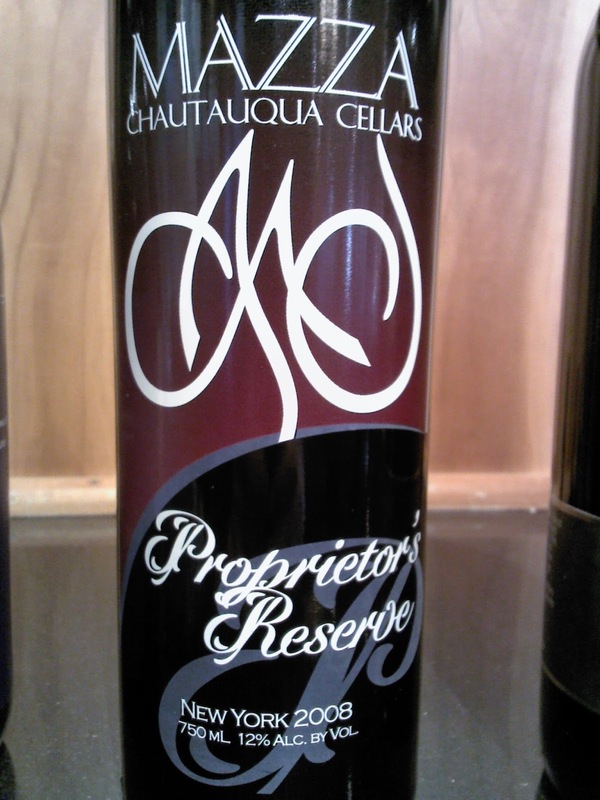 Last December I had tasted the Mazza Chautauqua Proprietor's Reserve 2008. It is a meritage style blend of Cabernet Franc, Cabernet Sauvignon and Merlot touched with French and American Oak. 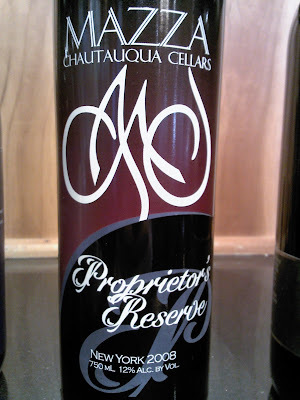 This reserve is a lovely wine with big nose of dried cherries and raspberries with spices and a whiff of vanilla. Fairly low in acidity and nice but not aggressive tannins, the wine is smooth and drinkable. The Hudson Berkshire Wine & Food Festival is an exciting culinary event, marrying the best aspects of the Hudson Valley and Berkshire Mountains. The rich fabric of the countryside is home to artisanal bakers and cheese makers, numerous CSAs, organic meats and vegetables, small and large family owned farms, and a host of other small artisnal food producers. The region is also host to a number of wineries, distilleries, and craft brewers. The festivals will feature delicious food products, wine, beers, and spirits tastings, as well as cooking demonstrations and other activities to celebrate the culinary diversity of the valley and the Berkshires. FIRST COME, FIRST SERVED! AVAILABILIY IS LIMITED! John Bruno is one of the most well traveled, elegant, and irascible men I have ever men. When I say irascible he is a scoundrel in jeans, a jacket with a crest, a beard, and a wry smile and a sharp wit. He is one of my favorite characters in the Hudson Valley, and one I do not get to spend enough time with, much to my own regret. That said, John is a fanatical farmers in the valley, and he tends his Pinot Noir, Chardonnay, and Cabernet Franc like a jealous hen. And he makes one of the best Pinot Noirs in the state. Period. So it was a great thrill recently when I saw John and his wife, Nancy. Great folks! 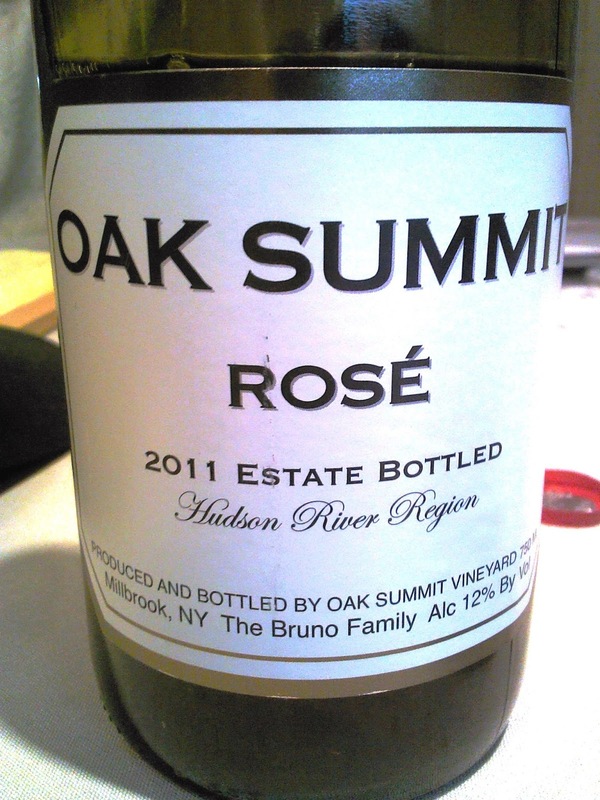 John makes only Chardonnay and Pinot Noir, so it was a shock, at the end of the grape school day, that John pulled one of his familiar bottles out of a bag, only for it to say Oak Summit Rose'! The wine was wonderful. A light red dry wine with lots of light cherry and strawberry fruit and a touch a kiwi with some slate and a nice dry, smooth finish! February 22nd: Governor and Mrs. McDonnell last night announced the single gold medal-winning wine from the twelve best gold medal wines (the “Governor’s Case”) whose score was the highest in the 2013 Virginia Governor’s Cup, which was the Barboursville Vineyards’ Octagon 2009. Octagon is a meritage-style blend with 70% merlot in this vintage 15% Cabernet Franc, 10% Petit Verdot and 5% Cabernet Sauvignon. The 2009 wine is also labeled “edition twelve” of the proprietary blend. By winning this year’s Governor’s Cup, Barboursville becomes the first Virginia winery to win the award four times. Barboursville also won in 1992 (1988 Cabernet Sauvignon Reserve), 1999 (1997 Cabernet Franc), and 2007 (1998 Cabernet Sauvignon Reserve). The Governor’s Cup award announcement was made Thursday evening at the Virginia Wineries Association’s Governor’s Cup Gala. DOES THE FUTURE OF EAST COAST WINE LIE IN BORDEAUX? Frank Schoonmaker (August 20, 1905 - 1976) was an American travel guide writer, wine writer and wine merchant. He was born in Spearfish, South Dakota, and attended two years at Princeton University, after which he dropped out of in 1925 to live and travel in Europe. He wrote two travel guides, Through Europe on Two Dollars a Day and Come with Me to France. He wrote a series of essays for The New Yorker. While involved in this latter project he met Raymond Baudoin, the editor of the La Revue du vin de France, who took him under his wing and taught him about wine. Schoonmaker also collaborated in the wine trade with Alexis Lichine, another wine writer, and the pair were considered the two most influential wine writers in the US for several decades. Both men called for an end to the ugly American practice of calling U.S. wines by European names. Fanciful names such as California Burgundy, New York Champagne, California Bordeaux, California Chablis, and other bastardizations were frowned on by Schoonmaker, who was vociferous in his condemnation of such practices, and insisted U.S. wines be called by their rightful name. Schoonmaker’s influence finally held sway with a maverick California winemaker named Robert Mondavi, who made varietals, and thus started to label his wines, Cabernet Sauvignon, Pinot Noir, Chardonnay, etc. Thus the drive for varietal labeling helped differentiate California wines from their European counterparts. Schoonmaker praised Mondavi and those that followed. And Schoonmaker was right….then. Schoomaker also called for the wine industry to establish a difference between table wines and fine premium wines in the market place, so Americans could rink better wine on the whole. But in the east, this practice, especially with red wines of exceptional quality, is difficult. Because of varying weather, cold winters, shortened seasons, etc. these cool climate growing regions, especially New York, Pennsylvania, and Virginia, all of which make gorgeous wines, find their wines vary accordingly. In California for the last 10 years the concept of vintage has become obsolete. However, France and Italy still have the same issues as the east. The weather is too variable for them not to find some importance in the vintage. With the rise in popularity of cool climate wines, and the increasing reputation of wines from New York, Pennsylvania, and Virginia, how do we ensure fine quality reds on an every year basis? While Schoonmaker dissuaded US winemakers from emulating their European brethren, he encouraged U.S. winemakers to strike out on their own. He urged them to create separation from their European counterparts. I think the time has come now when we in the east can draw closer together with our friends across the pond. The great reds of Europe tend not to be single varietals, but blends. What that blend mix should be I will not get into here (that’s a whole other article), just to say that red blends seems to me the sure fire way to create 90 point plus reds for the east coast. And thus create the final stage of serious red wine to make the east coast a serious and collectable wine producer in the world. It’s obviously not just blending. It’s taking into account a blending of not just wines, but of techniques, massaging the various wines in American, Pennsylvanian, Hungarian, and French oak. We need to consier aging like the Spanish do for a minimum of one year, or two years, or three. The idea is to help raise the bar to guarantee better quality. I don’t think it needs to be standardized, but I think it needs to become standard practice. As recently as last year, I heard winemakers from several east coast states complaining about the consistency of their own red varietals, as if blends were not as serious a sign of success and succeeding singularly with Cab Franc, Cabernet Sauvignon, Merlot etc. And this is why I think the future of east coast wine lies in Bordeaux. For these wines to be as heartily desired as their European counterparts, the east coast needs to “creatively adapt” some of the best practices of Europe to ensure a whole generation of superb red wines. The great houses of Bordeaux blended their wines because like those winemakers here on the east, the quality of their varietals was not consistent. The idea was to blend Cabernet Sauvignon, and Merlot, and Malbec and Petite Verdot, and many other grape varieties in different mixtures to fill in where the holes of one varietal aided another. The other practice was to hold back a certain amount of wine each year to blend in with the wine next year, thus establishing a consistent flavor profile from year to year. These practices hold sway even today. And French wines have never been more popular or collectible. The Top two growths don’t let most wine writers taste their top wines any more. The wine writers, no matter how effusive, cannot help increase the astronomical prices they are already getting, especially through the Hong Kong/Asian markets, where the popularity of wine has skyrocketed with the burgeoning Chinese middle class. Ripasso is another style which east coast winemakers should employ more often. Pressing new grapes over the desiccated skins of previously crushed grapes, and adding them to the masceratin, helps add favors to your wines, and increases their fullness and roundness. And we need to embrace the notion of terroir…at least of our own terroir. Dirt and location and sunshine and air drainage all make a place unique. Now, I am not announcing anything new here. 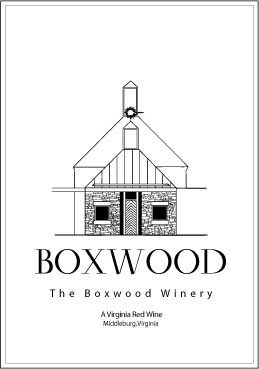 But I will opine that there is a whole new class of Bordeaux-styled reds available on the east coast, and they have firmly established their dominance in terms of quality and flavor. 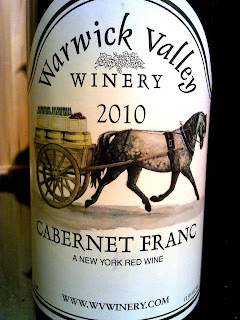 Yes, there are some exquisite Cab Francs, Pinot Noirs, Chardonnays being made here on the east coast. I am not dismissing them. That’s not what I am talking about here. Stop being argumentative. Listen up! If we want to create big world class red wines here on the east coast, wines that will stand shoulder to shoulder amongst California and France, Italy, Spain and Chile and Argentina, then we need to look to France and emulate them, because there is no hope of emulating California unless global warming continues to spiral out of control. You have a better chance of emulating Baron Phillippe than Robert Mondavi. That’s not a bad thing. Truly, some of the best reds of the east already follow this pattern and I strongly urge other winemakers to consider this trend. And I strong recommend to consumers that you try some of these very good blends! This March, it will be even easier to love New York. Wines from the Finger Lakes, Long Island and the Hudson River Region, among other New York wine regions, will be celebrated all month long as part of the city-wide NY Drinks NY. 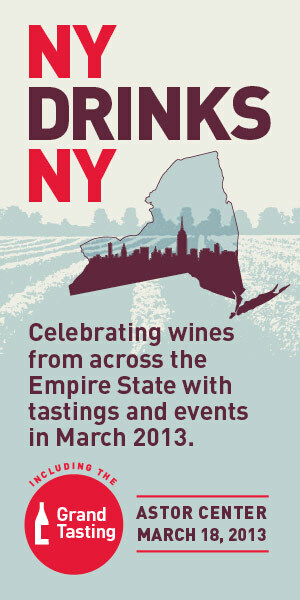 On Monday, March 18, taste more than 200 New York wines at the Grand Tasting at Astor Center (6 to 8 p.m.; $35 entry). Be one of the first 30 Tasting Table readers who buy tickets and receive $10 off the admission price with promo code TTDRINKSNY. Winemakers from more than 40 of the state’s world-class producers will be in attendance, and a stellar lineup of all-New York cheeses, charcuterie and hors d’oeuvres will be on hand, courtesy of the New York Wine & Culinary Center. Additionally, throughout the month of March, free tastings of New York wines will be available at the city’s finest wine retailers, including Bottlerocket, Flatiron Wine, Union Square Wine, Brooklyn Wine Exchange, Waterfront Wines, Vintage Grape and Smith & Vine, among others. Get all the details on the calendar of events. 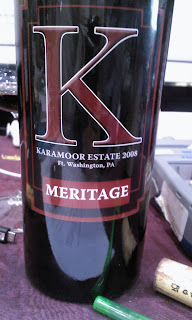 Meritage, meritage, meritage…I’m beginning to see a theme here……I'm also starting to see the birth of a good problem...wanting your cake and eating it too...and that's where Leonard Oakes comes in. OK, so the Oakes Family has a 90 year history of ties to agriculture and the land in the northwest corner of Orleans County, somewhere on the Niagara Wine Trail. In 2003 they planted their first wine grapes. From that initial planting of six acres and fourteen varieties has evolved what is known today as Leonard Oakes Estate Winery. At LynOaken Farms, they are now farming the same land with the fourth generation. The unique and fertile soils left behind by the glaciers of the last ice age combined with a climate moderated by the gentle breezes and deep waters of Lake Ontario provide them with a unique place for pursuing viticulture. 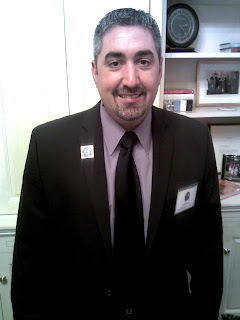 Jonathan Oakes is Leonard Oakes' great grandson. Jonathan was raised as a fourth generation fruit farmer. 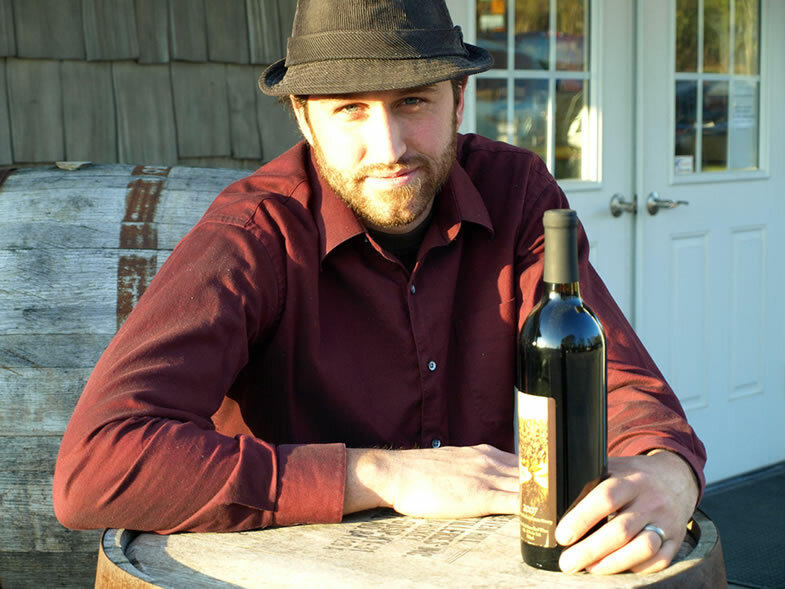 In 2008 after graduation from Niagara College, Ontario, Canada, Jonathan made the transition into winemaker and vitaculturalist. Through strong attention to detail, Jonathan is committed to creating wines that translate the concept of a definitive sense of place. He believes in terroir, or as Matt Kramer says, that sense of some whereness. He's young, fresh, innovative, and is also the author, shall we say, of Steampunk cider. Jonathan is making his presence known, as they like to say in sports vernacular. 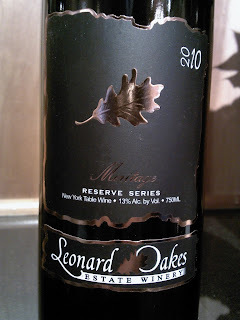 Leonard Oakes Reserve Meritage 2010 attempts to be that kind of signature wine. This is a big, concentrated wine with hints of dried cherries, dark raspberries, cassis, graphite, smoke, caramel and molasses. There are spices here, and whiffs of vanilla. It’s not sweet, though! This is a big, deep dry red. With good acidity and lovely balanced tannins, this wine is a superb wine. The wine stays on the palate for a good long time. A solid, complex and truly beautiful big red wine. So this is where my problem comes in. I like having a bottle of Leonard Oakes Reserve Meritage 2010. I can lay this down a good long time. But I wanted to drink it now. That’s a good problem. Great stuff, Jonathan, and all the folks at Leonard Oakes! One of the things about this business that’s kind of fun is meeting all the individuals you come across when working in it. You meet mavericks, scions, dabblers, perfectionists, etc. And of course there are dynasties. And that’s where Wagner Vineyard comes in. Four generations of the Wagner family have grown grapes in the deep glacial soils on the eastern slope of Seneca Lake in the Finger Lakes Region of New York. This heritage of grape growing has provided them with an intimate connection to the land. Since 1978, they have been making wine, and today they cultivate 250 acres of grapes and produce 50,000 cases of wine per year. Wagner Vineyards was founded in Lodi, New York, by Bill Wagner, a lifelong resident of the area and grape grower for over fifty years. Bill began plans for his estate winery soon after passage of the Farm Winery Act in 1976. Construction of the distinctive eight-sided building, Bill's own design, was completed and the winery opened its doors in June of 1979. It rapidly developed into a major attraction in the Finger Lakes region and hosts over 100,000 visitors each year. Wagner is unique in that it is also home to a brewing operation – Wagner Brewing Co was launched in 1997 and provides our beer loving patrons with a variety of award-winning craft-brewed beers to taste while visiting. Six standard brews are complemented by a variety of seasonal specialties. Over the years Wagner has grown into a major label in the Finger Lakes in terms of quantity and quality. And with wine and beer at the same facility, it’s always a fun visit, and one of the most popular in all the Finger Lakes! One of the unique things, the secret weapon, if you will, of Wagner, is the winemaking team of Joh Herbert and Ann Raffetto. 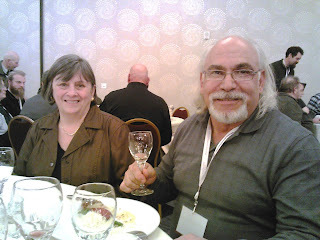 They are two incredibly accomplished winemakers, and also two of the nicest people you will ever meet! They do an incredible job for Wagner making great wines with a wide variety of grapes….everything from Niagara and Melody and Delaware, to sparkling, to blush, to Cabernet Sauvignon. And they do a terrific job with every style. They are amazing! That brings me to my point, the Wagner Vineyards Meritage 2010. Now, I cannot lie. 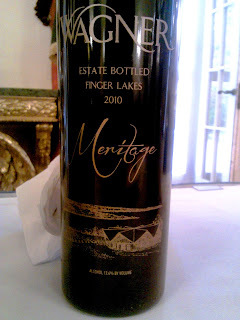 I have had some very nice wines fromWagner, but I didn’t remember the Meritage. I wasn’t sure of what to make of it. Rieslings and chardonnays, and Cabernet Franc, yes, I had seen and tasted, but not the Meritage. It’s important to know, they bottle a Meritage blend only in exceptional years -- prior bottlings were in 2001 and 2007. But I remembered John and Ann, and thought, OK, let’s go with it. And I was thrilled with their results. The 2010 Wagner Meritage is a Bordeaux-styled blend of 54% Cabernet Sauvignon, 29% Merlot, 17% Cabernet Franc. Fermented on skins until dry followed by malolactic fermentation. Individual varieties barrel were aged in American oak for 11 months prior to blending and bottling. They made approximately 998 cases, according to their notes. 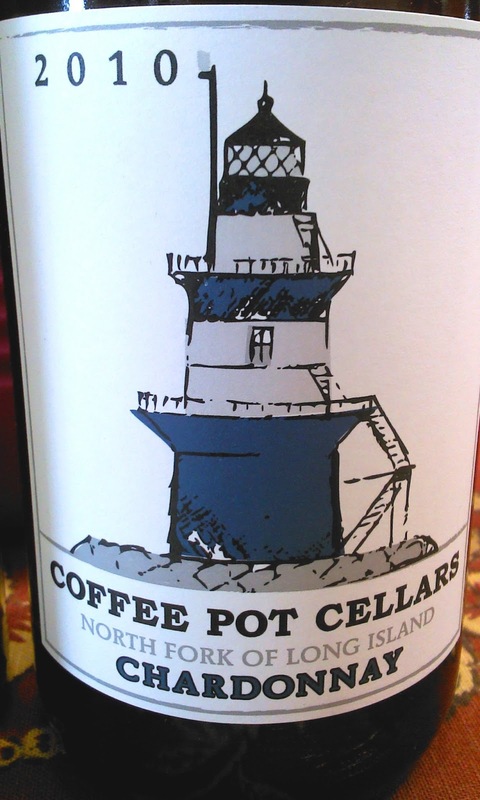 The nose is a powerful big bowl of stewed dark berries, blueberries, blackberry, dark raspberry and cherries. There are whiffs of vanilla, spices, and mocha, and dark chocolate. On the palate the dark cherries, blackberries and raspberries come through with hints of dark chocolate and cassis. Incredible. The acidity is high enough that it makes for a great balance, and the tannins are present enough, but not over powering. The wine is very well balanced. It’s absolutely beautiful! Elegant, strong, and lean! A nice wine you can buy and drink or cellar for a nice long time 5-10 year without question. Scarola Vineyards is a small boutique producer on the North Fork of Long Island. They are a family run business, and I like that. It tells you that it’s about passion and commitment…it’s personal. 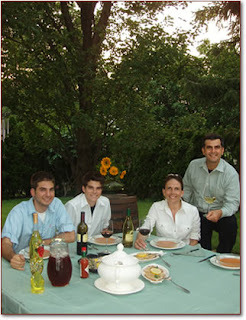 As their website illuminates, Scarola Vineyards truly is a family affair. While Frank Scarola is the proprietor and winemaker, he gets plenty of support from various family and extended family members. 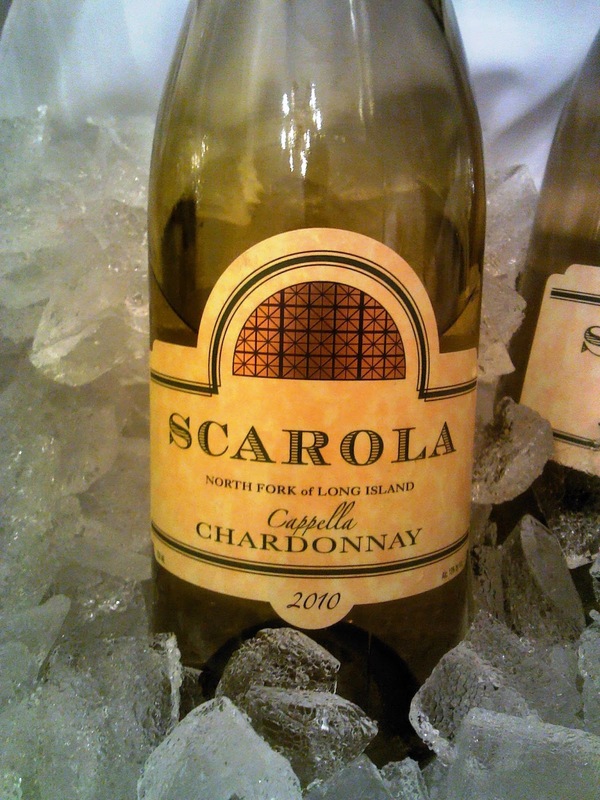 Donna Scarola, Frank's wife, sells Scarola wines throughout New York City's five boroughs and in Nassau and Suffolk counties. David Perrin and wife Donna are Frank’s cousins. David is general manager of Scarola Vineyards. David and Donna are also the innkeepers at Cedar House on Sound B & B. 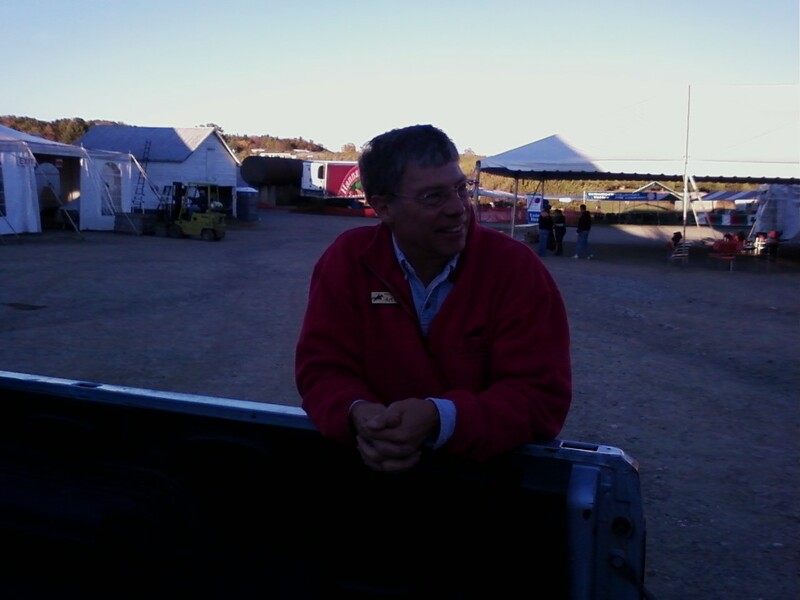 It was David I saw last at the Governor’s Conference in Albany! David walked me through the wines. He could not have been nicer. And how did I repay his generosity? With a late review. Let’s hope it’s not too late. Michael, Frank and Donna's elder son, who’s in the financial industry, helps out his parents at wine events, harvesting, and bottling. Steven, Frank and Donna's younger son, is a student and musician, sells wine at farmers markets in Manhattan and Long Island. There are many other Scarollas who take part in the business, but there’s not enough room in this small article to cover them all. You’ll have to go to their website to see more. Roman Roth is the winemaker (and now partner) at Wolffer Estate, one of Long Island's finest wineries. 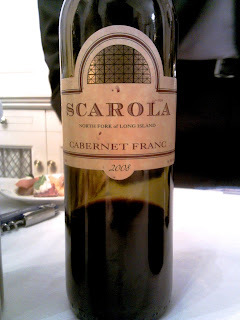 Roman collaborates with Frank in the crafting of Scarola wines and oversees their production at Wolffer Estate. Roman is one of the most brilliant winemakers on the east coast, and would be as comfortable an notable in California, as he would be in Burgundy, Germany, or wherever. He's that good! And his hand here is gentle but firm. In Scarola he has made easy drinking wines, without giving up his classic-minded style. He has made a line of wines that's as food friendly as I have ever seen. The first wine I tasted was the 2010 "Cappella" Chardonnay which was fermented and aged primarily in stainless steel tanks. This is a light, fresh wine filled with with fresh apple and a citrus finish. Brigh acidity and great flavors are the hallmarks of this lovely, light, delicate Chardonnay. Tremendous! Next was the 2008 Cabernet Franc. 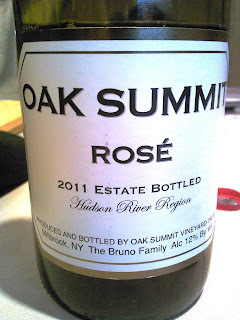 This was a nice medium-bodied dry red, that showed raspberry and plum up front. But there were also hints of smokiness and spices as promised. This was delicate and delicious, and great food wine. Nice smooth tannins, good acidity, and a lovely balance. A very nice drinking red. Finally there was the 2010 "Masseria" Merlot. This is where Roman and Frank have combined to deliver a lovely wine which has massive aromas of dark berries, plum, hints of dark cherry, combined with spices and a lovely finish that makes a lovely merlot. Good solid acidity helps extend the fruit flavor and the tannins are just nicely balanced, making the wine incredibly drinkable. A lovely, layered, complex red wine with incredible appeal. A lovely, lovely wine. Scarola is the kind of wine you buy a case of and you store three or four bottles in the basement, not because you like to cellar wine (and if you do, you’d be fine doing this) but because you will drink the rest very quickly, especially when you have friends and family over. And you’ll have none left when you really want to impress someone. Its a great wine to impress a crowd with or just to enjoy when there’s a smaller group like four or three or two…or even one. Remember to put a few away, or they’ll be gone faster than you know. It’s that good! And I mean it as an absolute compliment. 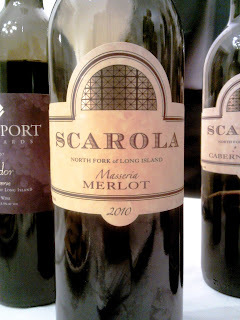 The prices are very affordable, and I think this whole line is among my favorite food wines. And I know why, first they taste great, and they are wines you share with friends and family. And that makes you feel good right there. p.s. and David, thanks so much! Sorry for the delay! I like Art Hunt. Art is always great if you need advice. He’s friendly, accessible, and has a great sense of humor. And he’s got all the experience in the world. 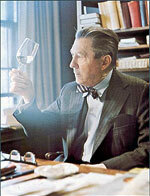 He is also the most ubiquitous personality in the wine world. He is everywhere….festivals, conferences, trade shows. He could be one of the most well-traveled winemakers in the state. And oh, by the way, his winery makes some really good wines. Last fall, I tasted three of his wines I had to write about. I’ve been so back logged I can’t believe it’s taken me until now. So here are three I really enjoyed…. The first and most amazing among them was Pearl. 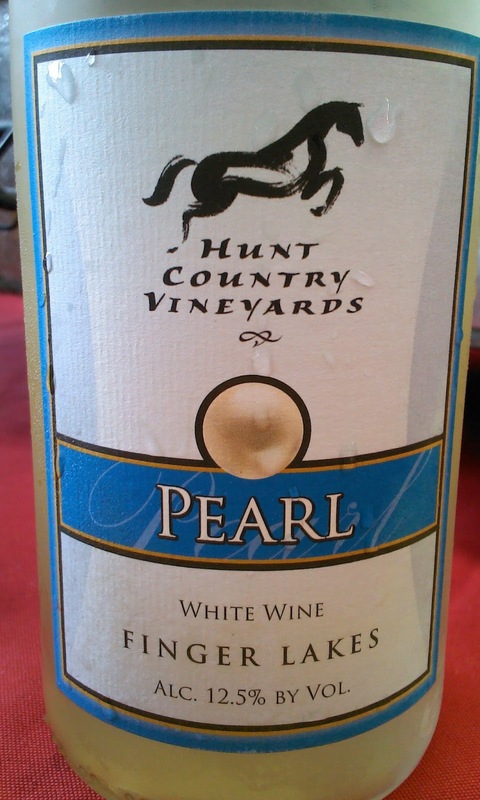 Pearl is a very unique blend of unoaked Chardonnay, Cayuga White and Pinot Gris. And my first thought was, “what the hell?” What kind of blend is that?! I will admit now I wrinkled my nose and sipped carefully. Why would you pair unoaked chard with Pinot Gris and then a grape like Cayuga? It was a revelation!!! The nose was a big tropical fruit bowl, with mango, star fruit, and numerous flavors shining through with some green apple and lemon. It was bright, light, and refreshing. And it is relatively inexpensive, and so makes it a perfect summer wine for sipping and slurping on the back deck or by the pool. Great light dry white blend. Fantastic! 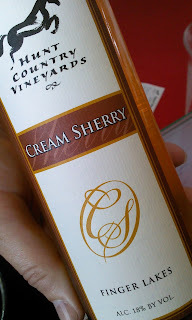 The last was also among my favorite styles of wine – Cream Sherry! Now, I know I’m supposed to be sophisticated here and tell you that I prefer dry sherries, and I’m so correct, blah, blah, blah. But here’s the flat out truth….I like my sherries sweet. Screw it! This Cream Sherry is a great quality wine. The foundation of their Cream Sherry is a blend of Riesling, Chardonnay and lightly oaked Cabernet Sauvignon wines. They then bubble oxygen through the blend for a month or more to produce the beautiful "darker" flavors. Finally they fortify the wine with pure grape distilled spirits to achieve the perfect balance between these flavors, sweetness, tartness and alcohol. Aromas of raisins, nuts and caramel all climb out of the glass. The taste is out of this world. Smooth and delicious. Just enough of the cellar in there, but the fruit begins to shine through. This wine was winner of a MEDAL OF EXCELLENCE (Gold) at the 2011 Jefferson Cup Invitational Wine Competition. Absolutely wonderful! 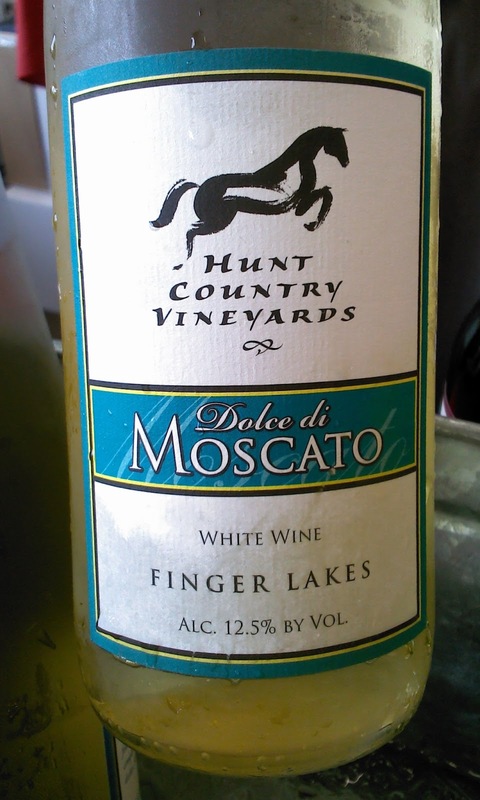 Hunt Country is one of the most dependable producers in the Finger Lakes. And these wines are not to be missed. Coffee Pot Cellars is among my favorite Long Island wineries. It’s small, and I just like their wines. I haven’t had one I haven’t liked yet. I tried two last fall and haven’t gotten around to getting them written up. So apologies to the folks at Coffee Pot. 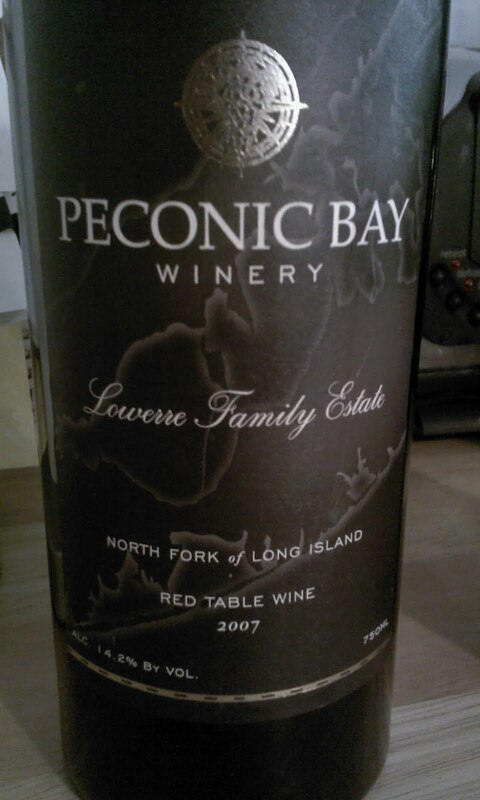 The first is the 2010 Chardonnay North Fork Of Long Island. No, my esteemed colleague Lenn Thompson of the New York Cork Report has already reviewed the wine and liked it. I liked it before I read Lenn’s comments, but I thought they were worth repeating here…just in case you didn’t believe me. Here’s a real wine writer…. "straightforward, offering yellow apple, lemon zest and faintly nutty notes... a Chardonnay... that promises to over-deliver for the price, I think successfully.” – Lenn Thompson, Dan’s Hamptons magazine. 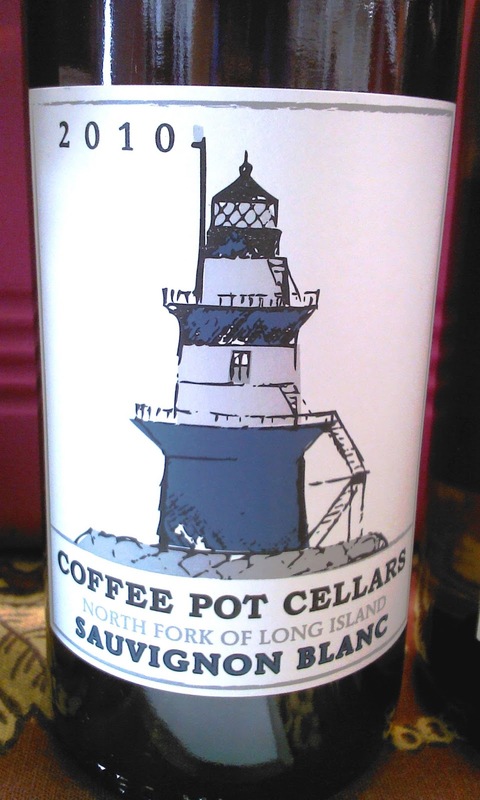 According to Coffee Pot’s website, the wine was “fermented in neutral older oak barrels with no malolactic fermentation, our Chardonnay gets its silky texture and balance from sur lies aging. Literally meaning “on yeast” in French, sur lies aging lends bread dough aromas and body to wine as a result of the breakdown of yeast cell walls during barrel aging.” That’s pretty fancy, and impressive stuff. As promised in their descriptions, I found the “fresh cut apple and orange zest” came through beautifully. The apple and the citrus ending come through in the aroma as well as across the palate. A light, beautiful wine with some spice and some lovely tropical notes as ell. Elegant! 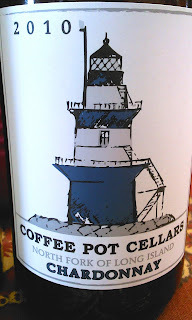 The other was the Coffee Pot 2010 Sauvignon Blanc North Fork. This is Long Island summer in a bottle! 100% Sauvignon Blanc grapes fermented in stainless steel tanks with no malolactic fermentation. This is a big, bright, brilliant Sauvignon Blanc with huge waves of citrus and fresh cut grass. Big honeydew and melon and lemon zest. A light, fantastic wine! 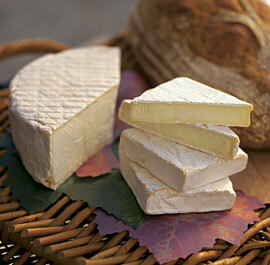 Great with fish, seafood, even cheese. A great wine to entertain with and impress your friends. Coffee Pot continues to impress! Virginia’s wine industry gave itself its annual report card Thursday, and Barboursville Vineyards was named valedictorian – its 2009 Octagon red blend won the Governor’s Cup. The trophy was presented to Barboursville winemaker Luca Paschina by Gov. Robert McDonnell tonight at a ceremony in Richmond. It’s the fourth time since the Virginia Wineries Association started the competition in 1982 that Barboursville won top honors, making it the Old Dominion’s most celebrated winery, as well as its most commercially important. It’s also a gratifying win for Octagon, a merlot-based blend of Bordeaux varieties that Paschina first created with the 1998 vintage. He has promoted it as the type of icon wine Virginia needs to produce to prove its worthiness as a world-class wine region, but despite commercial success, Octagon has not traditionally fared well in competitions. Yet at the ceremony he showed understandable pride in his creation, calling it “probably one of the best wines I’ve made in my life,” according to a tweet from the ceremony by @VaWineDogs. The 2009 Octagon won’t be released until August, but Paschina says it will remain priced at $50 despite the accolades. From my recent tasting of a sample, I am confident in saying the 2009 is the best Octagon yet, and I say that as a fan of the wine from the get-go. In the annual Governor’s Cup judging, held in January, 20 wines received gold medals, up from 13 last year. The top 12 scoring wines will be included in the “Governor’s Case,” to be sent to wine writers throughout the country in an innovative promotion of Virginia’s best wines. Congrats to the folks at Shaw Vineyards! Their wines, always stellar, were awarded between 88 and 90 points! Terrific! A great accomplishment...and well deserved! 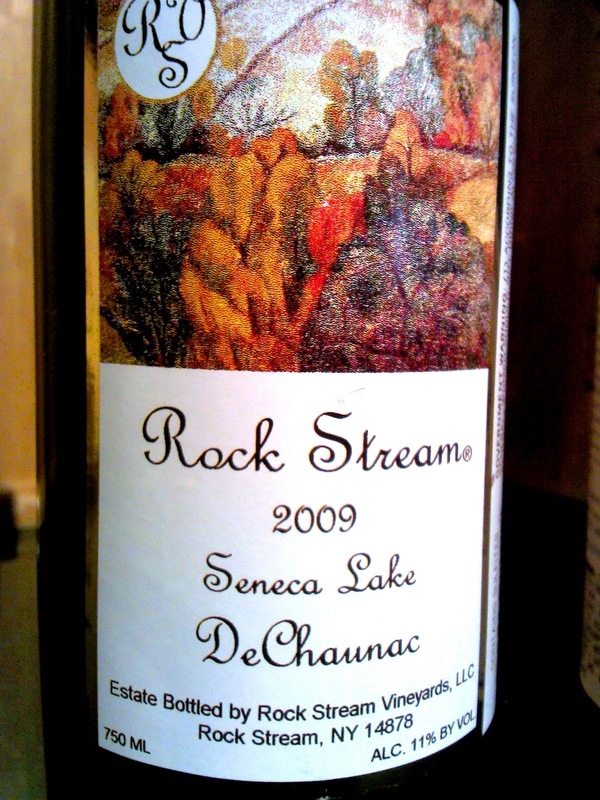 Rock Stream Vineyards is an estate winery owned and operated by Dr. Mark Karasz. Mark is a retired Army Lieutenant Colonel with a PhD in chemistry. A three year tour in Italy inspired him to make wine and Grappa. After returning from Italy, he founded Rock Stream Vineyards and began growing his own grapes and making wine, brandy, Grappa and ports. The tasting room on Route 14 and Fir Tree Point Road has been open since July 23rd, 2005 and is now Seneca Lake’s only winery that is a licensed Grappa and Grape Brandy distillery. The vineyard has 40 acres of vines producing over 200 tons of grapes annually to make premium, hand-crafted wines. Now, I am not usually a fan of DeChaunac, but I was lucky enough to score a taste of Rock Stream DeChaunac 2009 Seneca Lake last month, and I was pleasantly surprised. The wine has a distinctly DeChaunac nose with hints of cherry, plum, and a wisp of cinnamon. But the taste was wholly different. The plum comes across quite nicely on the palate. The wine has nice acidity, which keeps the fruit up front, but not too much. The tannins are soft, and the wine finishes smooth and easy. This is a very nice example of what this varietal can do. Warwick Valley winery and Distillery is located in Warwick, NY, and is one of the Hudson Valley's premiere cider makers. Their apple and pear and raspberry ciders are staples inmost package stores in more than 10 states! This past fall, they made a Pumpkin Hard Apple Cider. 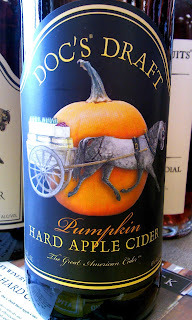 This was a seasonal cider made with roasted pumpkins, cinnamon, allspice, fresh ginger and nutmeg. Alcohol was around 5%. Thi was an interesting entry into the whole pumpkin ale scene that seems to explode every year, expanding faster than my waistline. But I thought this was a good addition to this genre. The cider still had a tremendous tart apple taste, so it was absolutely cider. But the addition of the pumpkin, ginger and nutmeg, definitely layered in the pumpkin in a lovely way. Instead of the flavors competing, they melded into a pumpkin pie kind of feel, with a smooth, almost creamy after taste. I was prepared not to like this cider, but I must say that this was a terrific entry into the cider world. I enjoyed it so much, I bought a bunch and just recently enjoyed one during the Super Bowl. It doesn't have to be fall to enjoy one of these bad boys. In fact, I'm looking forward to this spring and summer, when I'll pop the top off another one of these, and start to dream about fall all over again! 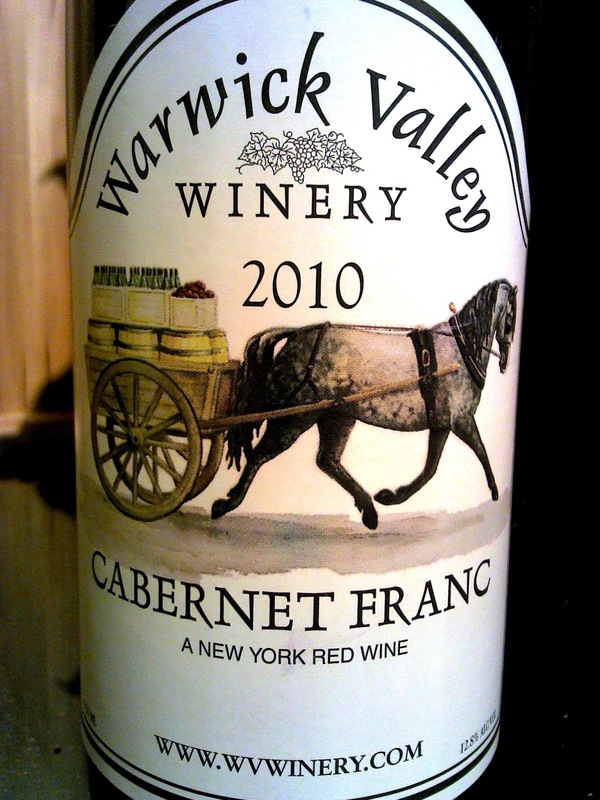 Warwick Valley Winery and Distillery are located near the bottom of the Hudson Valley an west, up in Warwick, NY. The tastingroom is located on a crooked country road lined with stone walls and small houses, just up a pace from the flat, black dirt fields that make this region famous for growing corn, onions, and potatoes in some of the most fertile soil on the east coast. Warwick is one of the biggest operating wineries in the Hudson Valley, but is more well-known for their stellar ciders and specialty distilled products. This wine is made from 100% Cabernet Franc. The wine is fermented in stainless steel and then aged for six months on oak barrels. The result is a fruit forward, medium bodied red wine, that is soft on the palate. It has subtle hints, as promised, of black currant and black cherry with slight hints of vanilla and spice…maybe a hint of leather? This is a lovely, drinkable red. 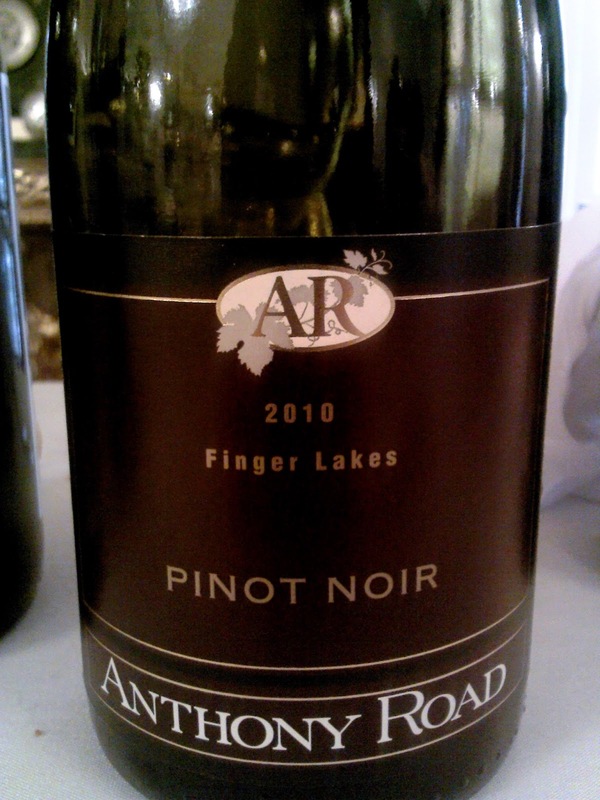 Anthony Road is one of the more well-known Finger Lakes wineries, with distribution in a number of states. And their tent at Union Square Green Market in New York City has been a landmark for a least a generation of young Manhattanites. 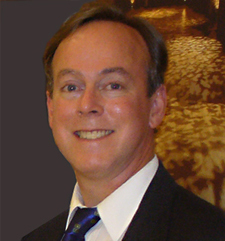 John Martini and his wife are the owners. John is an interesting guy, who has truly been one of the driving forces behind Finger Lakes wine. He’s a no-nonsense guy, but he’s also a lot of fun, with a wry wit. It’s difficult for his to sit too long without something funny coming out of his mouth. But don’t let that fool ya, he’s a very smart and successful business man. I had the opportunity during the course of the fall to try their Anthony Road Pinot Noir 2010 and their Cab Franc 50% Lemberger 50% 2010. The Pinot noir 2010 was a big bowl of bright cherry and plum, with hints of vanilla and spice. Nice acidity and good tannins gave the wine a nice structure. The wine was easy to drink and smooth on the finish. 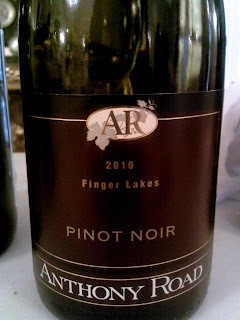 A very, very quaffable Pinot Noir, that would be great with cheeses or with dinner. Always skeptical of Lemberger (please, I beg, change to Blaufrankish…LOL! ), I approached the bottle with trepidation. Good Lemberger/Blaufrankish is quite lovely. But bad Lemberger stinks almost as much as the arcane Wisconsin cheese it might be confused with. Let me reassure you, this is not the later….this was good wine. Nice hints of bright cherry, raspberry, and plum dominate the nose, with hints of lavender and spice. There’s no question, the Cab Franc comes through here, and adds the classic structure one expect from a good red wine….and this is a good red wine. Nice tannins give this wine a nice ending, and you keep tasting the fruit long after you’ve stopped sipping. A very nice table red! Nice stuff from the folks at Anthony Road. 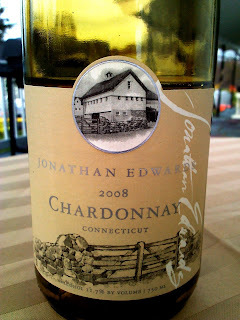 Last fall I opened up a bottle of Jonathan Edward Chardonnay 2008. 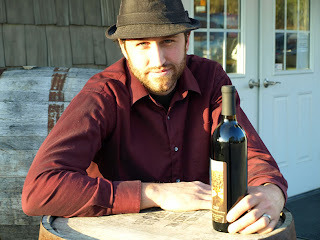 Jonathan Edwards is a bi-coastal winemaker, who makes wine in California and Connecticut. Located down in the south east corner of the state, not far from Mystic, Jonathan Edwards is as pretty a winery as you will find in New England. Set among the rolling Connecticut hills, the bright white farm buildings stand in beautiful contrast to smart, well-made stone walls, and there are row after gorgeous row of beautiful vines. I have always opined, see well-kept vines, and you will taste great wine. Jonathan is among my favorite batch of winemakers in the state, and his wines are excellent. I pulled this wine out of my wine cellar sooner than I had intended. This was in my stockpile of New England/East Coast wines to cellar for a while. Not so. I broke down one warm day this past fall, dying to try a clean, beautiful white wine. And did I ever. Crisp and bright, with pears and green apples, this wine was, as ever, a revelation. 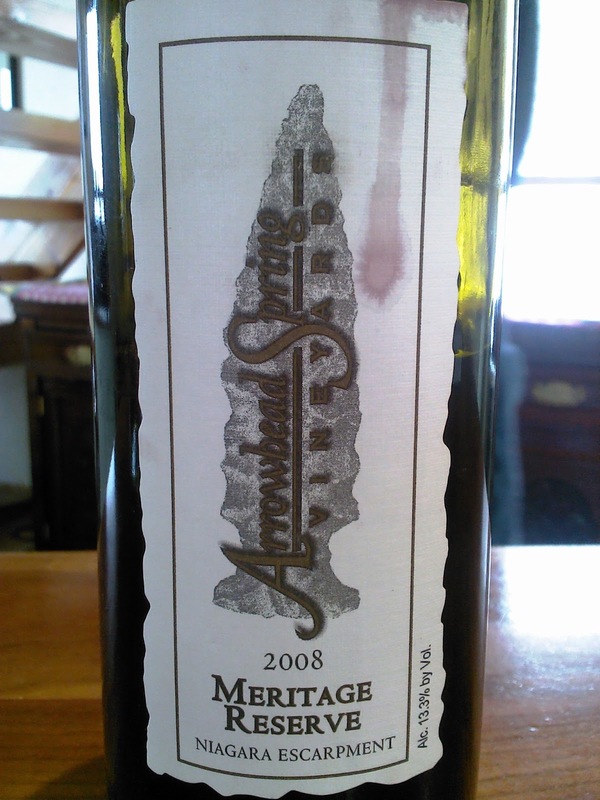 The acidity was solid, and kept the fruit fresh, and the mineral of the rolling Connecticut farm hills came forth nicely. A really, really lovely wine! Ed McCarthy On Cool Climate Wines and A Recommendation of Cool Climate East Coast Wines! Recently esteemed wine educator and writer Ed McCarthy (Wine for Dummies with Mary Ewing-Mulling, among many others) wrote the seminal piece on a trend that has been developing in the wine industry over the last three or four years – the pendulum in the US among wine aficionados and foodies is swinging back from big, powerful, West Coast styled wine to a more reserved palate more on par with German, Italy, and France, citing a love of cool climate wines. There is no question this trend is in full swing and still has lots of momentum to go. Ed is 100% right on the money! Bravo for the essay. It’s right on the spot. Is there a difference in the palates of wine drinkers living on the East Coast of the U.S. as opposed to those west of the Mississippi River, especially those on the West Coast? In other words, does geography make a difference in wine tasting? Judging by my own experience and observation, I believe that many wine drinkers living in the East Coast cities, such as New York, Boston, Philadelphia, and Washington D.C., do taste and/or appreciate wines differently from those on the West Coast. Not really because of their different geographic locations, of course, but more so because of the wines that each group has been exposed to in their environment. For example, let’s consider the columnists of our own publication, Wine Review Online. It is no coincidence that the three columnists on the East Coast, Michael Apstein, Michael Franz, and I, write primarily about European wines, especially those from France and Italy. And conversely, those columnists living in California write mainly about California wines. We all tend to write about what we know and like. Many of us on the East Coast have had more exposure to French, Italian, and Spanish wines than those from California, and we have formed our own palates accordingly. There are fundamental differences in the mainly cool-climate wines of Europe--also known in wine parlance as Old World wines—than in the warmer-climate wines of California, South America, and Australia, the so-called New World wines. Now, I have met Ed. Had dinner with him and Mary. I have tremendous respect for him, and I would posit that he is probably one of the two best experts on Champagne in the world. I would love to work with Ed someday. Ed has forgotten more about wine than I know. He has a excellent wit, and is a wonderful dinner companion. And he has devoted his life to studying and understanding and teching wine. And he’s not the only one saying these things. Dan Berger recently spoke and has written about the trend swinging back towards more balanced, cool climate wines. Hooray! Truly, I am thrilled Ed wrote the article. But here’s where I have an issue: Ed, what about east coast WINE? Where is the love? There are more than 800 wineries on the east coast. Nothing of the Finger Lakes? The North Fork? The Hudson Valley or Niagara? How about Virginia? Perhaps I am only splitting hairs, but at the same time I feel like I must amend Ed's article just a touch...My word isn't as good as Ed's (I mean that, he is a brilliant wine expert...and I do mean expert), I'm not even the Sorcerer's apprentice. Chardonnay from Long Island is every bit as exquisite as that of Burgundy. The Pinot Noirs of New York and Virginia are improving daily, and can compete without question. And the elegant red Meritages and blends being produced by those states also are producing wines that show sophistication and complexity, as well as promise. So here’s a recommendation. Instead of walking in and asking for a cool climate wine, and letting some wine shop steward steer you to the French or Italian section, insist on trying a cool climate LOCAL wine. Pinot Noirs such as McGregor, Heart & Hands, McCalls, Tousey, Millbrook, Whitecliff, Rooster Hill, Oak Summit, Red Tail Ridge, Jamesport, Unionville, Brotherhood, Shaw, Ravines, Dr. Konstantin Frank, Arrowhead Springs, Billsboro, and Baco Noirs such as Benmarl and Hudson-Chatham. Or red blends from Bedell, Wolffer, Valhalla, Barboursville, The Winery at La Grange, Black Ankle, Boxwood, or Pellegrini, just to name a few. And light whites? Try Chardonnays, Riesling, and Viogniers from Unionville, Sherwood House, One Woman, Channing Daughters, Pellegrini Vineyards, Roanoke Vineyards, Chateau LaFayette Reneau, Rooster Hill Vineyards, Bedell Cellars, Red Tail Ridge Winery, Peconic Bay Winery, Lamoreaux Landing, Macari Vineyards, Wolffer Estate, Fox Run Vineyards, Whitecliff Vineyard, Hermann Wiemer Vineyard, Channing Daughters, Heron Hill, Bedell Cellars, Barboursville, Breaux, Tarara, Jefferson Vineyards, Veritas, King Family, Monticello, and others. And tell them that Ed sent you (and keep reading his articles on Wine Review Online), because it was indeed his idea, but that Carlo made the recommendations (like I matter...lol!). And show the east coast some love!!! 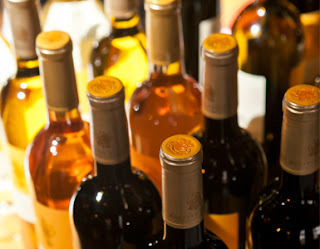 March 6-8, 2013 The Eastern Wineries Exposition will be held at the Lancaster County Convention Center in Lancaster, Pennsylvania. The Pennsylvania Winery Association Annual Meeting with take place the day before, March 5, 2013 at the convention center. Register before February 20th, and receive a special discount! The Eastern Winery Exposition is an Eastern-focused wine industry trade show and conference designed to provide the Eastern U.S. and Canadian wineries and vineyards with an easily accessible, low-cost professional meeting with a large number of winery and vineyard suppliers, at the right time of year. A strong seminar program, exhibit hall featuring suppliers relevant to our region’s business of wine making, networking events, and state association participation are all integral components of EWE. The Eastern Winery Exposition (EWE) had a very successful inaugural event in March of 2012 at the Lancaster County Convention Center and Lancaster Marriott. 136 exhibiting companies and 934 winery and vineyard personnel participated. The vast majority of attendees, exhibitors and speakers felt EWE met or exceeded their expectations. 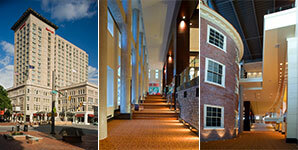 We have been working hard since the 2012 event to bring you an even better trade show and conference in 2013. “In addition to everything Bob says about our rapid growth from last year, we also expanded the seminar program to 24 sessions plus a 3-session hard cider workshop on Friday. In the enology track there's an emphasis on lab work. Three sessions (N02, E02 and E05) evaluate new winemaking methodologies for saving energy, saving time (combined TA and YAN test) or new and improved fining products.,” said Richard Leahy. While on my travels this fall, I took the time to taste some wines from Keuka Spring Vineyards. I see them at a number of festivals and events around the state, but I haven’t been able to do a proper tasting until recently. Keuka Spring Vineyards has been around for 25 years. The hillside tasting room is adjacent to the vineyards, and offers incredible panoramic views of Keuka Lake. The Wiltberger family are very proud of their wines. Keuka Spring Vineyards Vignoles 2011 - The Vignoles was a lovely, light crisp aromatic white with lovely combination of tropical fruit with big whiffs of floral overtones. 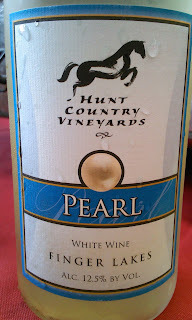 The wine was soft and fruity up front but with enough acidity to keep it honest and refreshing. A surprise coming from the Finger Lakes. Keuka Spring Vineyards Epic Reserve 2010 – This is a blend of Merlot, Cabernet Franc and Cabernet Sauvignon. Lots of blackberry, plum, and cassis with vanilla and spices. A very nice medium-to-dark red wine with nice tannins but enough fruit to make it count. It’s a nice wine to drink now, but you can easily age this for two to five years with absolutely no problem. A really nice red. Keuka Spring Vineyards Miller’s Cover Red 2011 – This wine has always been a hit for Keuka Spring Vineyards, having won 2009 and 2010 Best in Show and Best in Red Honors at the New York State Fair Wine Competition. Cabernet Sauvignon and Merlot are combined in this medium-bodied, earthy red. Surprisingly soft and quaffable, still a wine you can drink now or lay down for a few years. Very nice! Three very nice wines from Keuka Lake!!! Enjoy! !